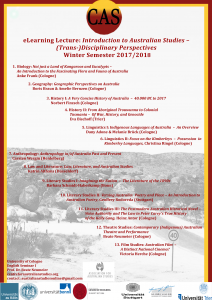 This lecture course provides an Introduction to Australian Studies, encouraging a dialogue between different disciplinary perspectives ranging from Linguistics and Literary/Media Studies, to History, Geography, Anthropology, and Biology. Designed as an eLearning format, it intends to offer students maximum flexibility in terms of location and hours. 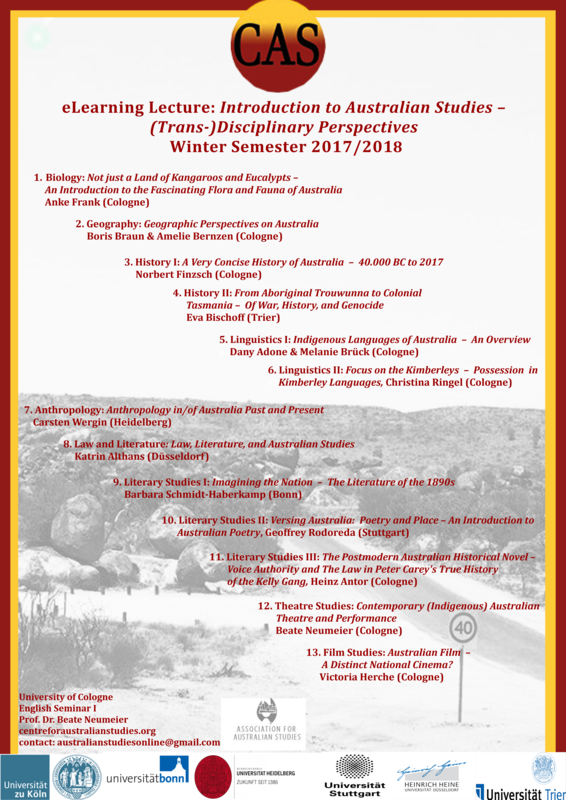 This course is a pilot project in AS-Online, bringing together research and teaching expertise from Australian Studies scholars from different fields and Universities. Starting with this online lecture, CAS seeks to expand its eLearning profile in the future.